Mangoes are sweet, juicy and delicious, but often a chore to prepare. 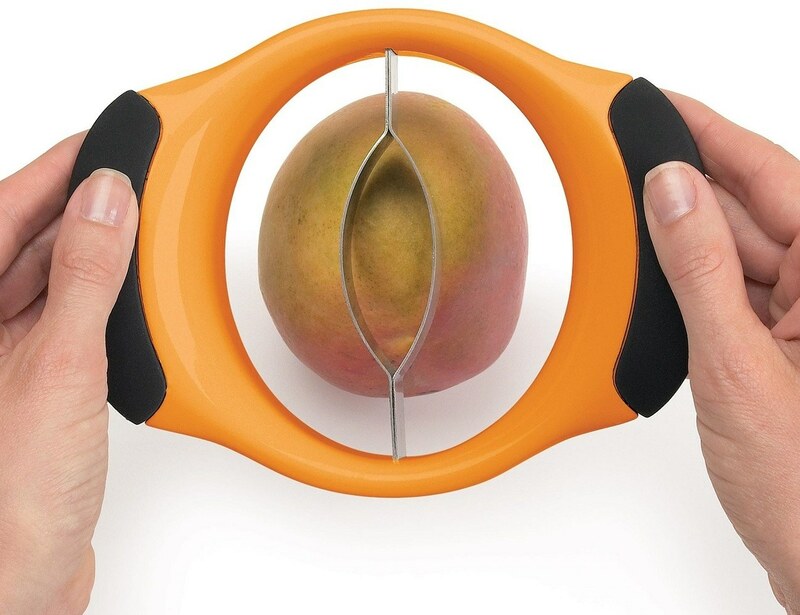 Not anymore, with the OXO Good Grips Mango Splitter. One simple press removes the seed and cuts the fruit in half. 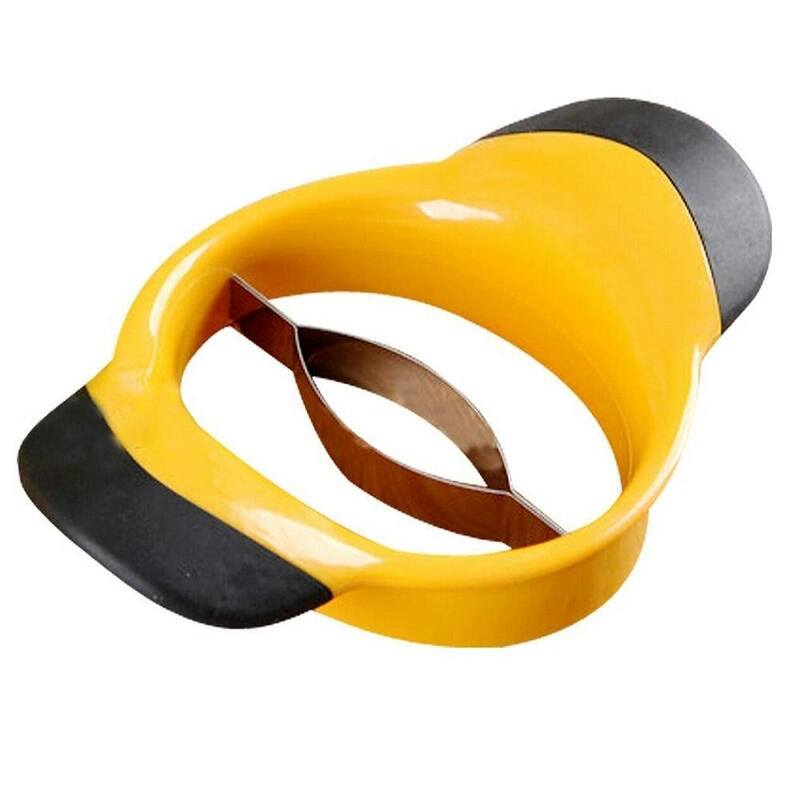 The Mango Splitter slices cleanly through the fruit and leaves almost nothing behind on the seed. 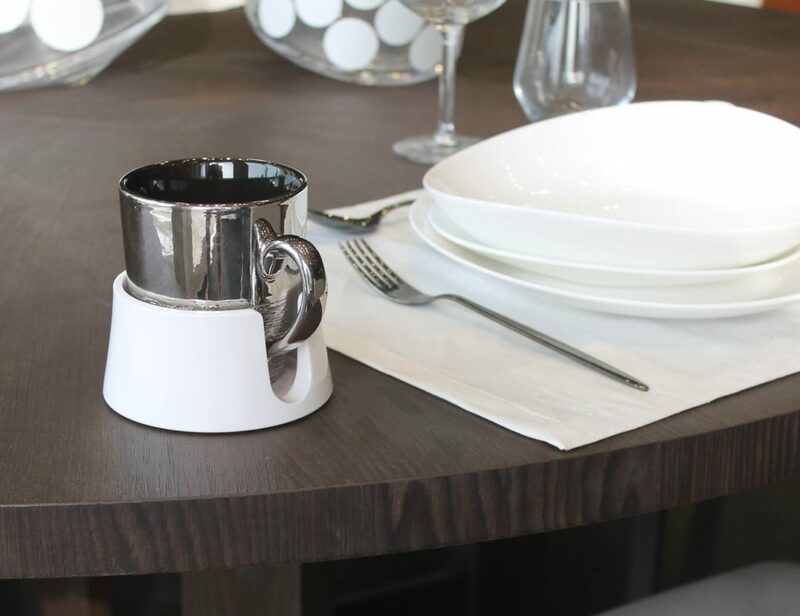 Soft grips cushion while you press and the stainless steel blades are sharp and sturdy. There’s nothing as luscious as a ripe mango. Growing in popularity, mangoes are now available in many stores year-round and can be eaten fresh, cubed into salads, or sliced and baked on top of chicken breasts. 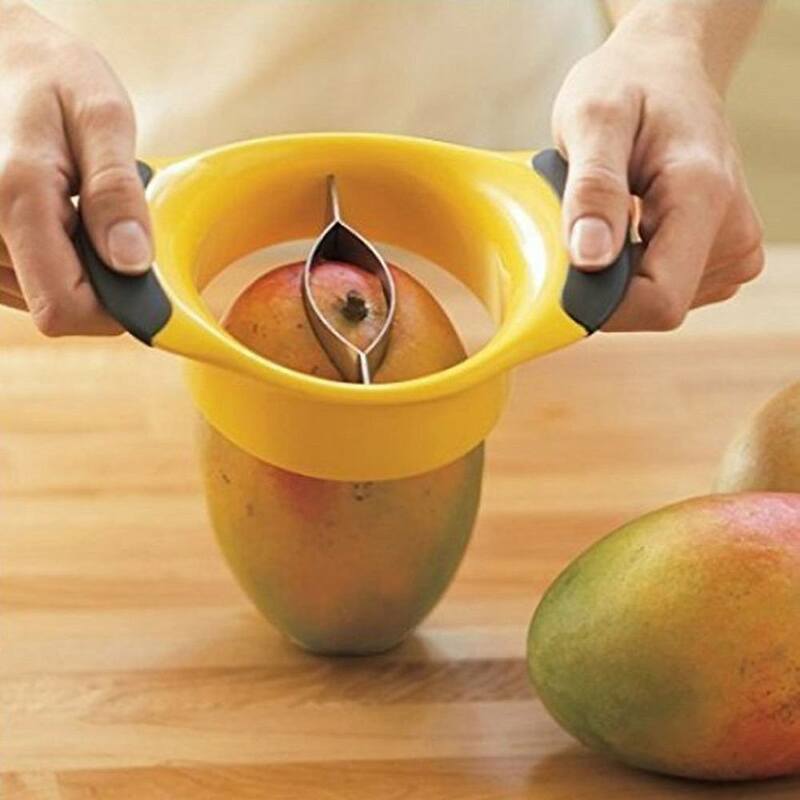 Helping prepare the fruit for eating is this ingenious mango splitter from OXO. The splitter is a circular white plastic device with sharp stainless-steel blades in the center and OXO’s signature black comfort handles on two sides. 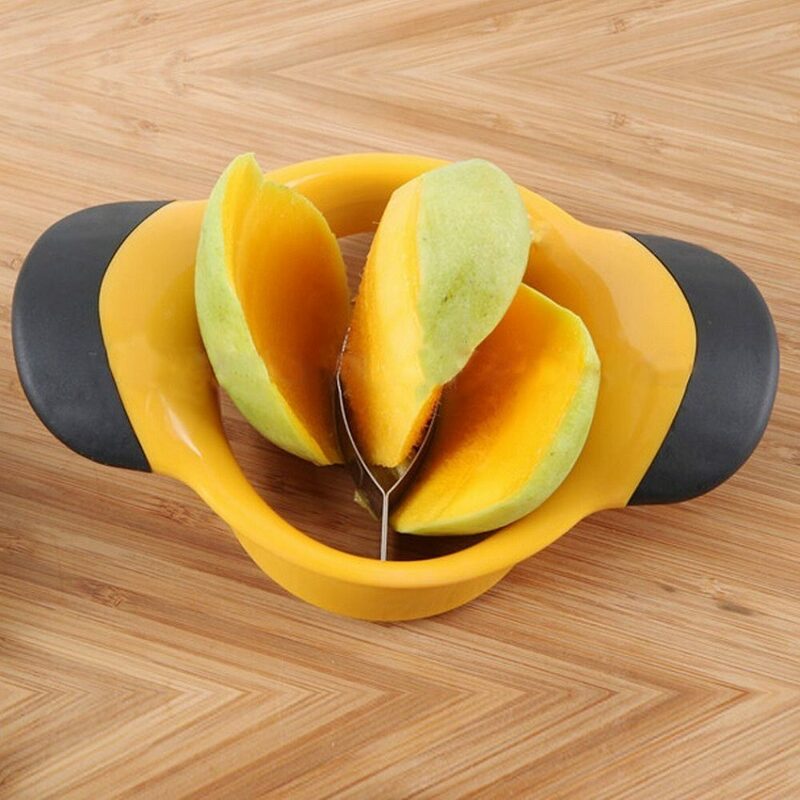 Holding both handles, the user pushes the blades down through the mango from the top, separating the seed from two halves of mango. The flesh can then be cubed or sliced off the skin on those two halves. After the prep work, the mango splitter slips right into the dishwasher for hassle-free cleaning.